Akarana Members crowned World Champions! 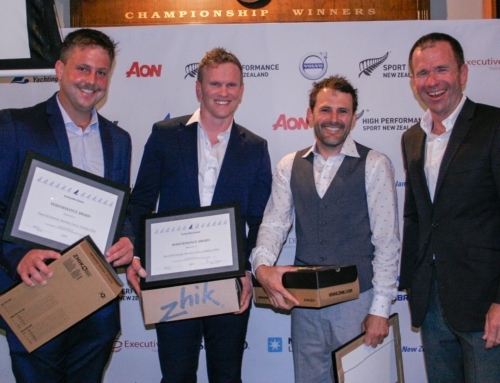 Home/All News, Regattas/Akarana Members crowned World Champions! The 49er and 49er FX World Championships have been extremely successful for our members who made the trip to France to compete. Alex Maloney & Molley Meech have won the 49erFX title, with Peter Burling and Blair Tuke claiming the 49er crown. Marcus Hansen and Josh Porebski finished second! Erica Dawson and Ellie Copeland (49er FX) finished 24th. New Zealand’s Olympic class sailors have pulled off an unprecedented result at the 2013 49er and 49erFX World Championships which wrapped up overnight in Marseille, France with two world titles and a silver medal. Peter Burling and Blair Tuke have secured their first ever 49er World title, while Alex Maloney and Molly Meech have won the inaugural 49erFX world title. And Marcus Hansen and Josh Porebski have won silver in the 49er. This is 22 year old Peter Burling and 24 year old Blair Tuke’s first world title in the 49er and it comes in a full-strength world class fleet including reigning Olympic champions and multiple world title winners Nathan Outteridge and Iain Jensen of Australia, who finished 5th. After light and tricky conditions over the opening half of the regatta Burling and Tuke, as well as Hansen and Porebski came to the fore on the penultimate day and hit the water for today’s three theatre style medal races in 1st and 2nd place. But with double points on offer for each race anything could happen. 2013 has been a stellar year for Burling and Tuke who have won the 49er European title, the Red Bull Youth America’s Cup title and now the 49er World title. New to the Olympic programme for 2016 the 49erFX women’s skiff has attracted a number of accomplished international sailors and for New Zealanders Alexandra Maloney and Molly Meech to secure the 2013 world title is a massive achievement. The young pair holds the ISAF World number one ranking after top three placings at all the major international regattas they’ve contested in 2013 including gold at ISAF Sailing World Cup Hyeres and a bronze at the 49erFX European Championships in Denmark in June. Today’s world title puts the icing on the cake for Maloney and Meech who both only recently stepped out of the youth classes. Like the kiwi men Maloney and Meech went into today’s medal races with the overall lead. 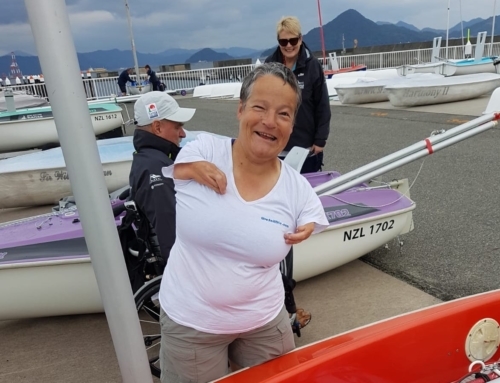 Competing in a fleet of ten boats with double points on offer they raced away with a 2nd a 5th and a 4th to secure the world title by a huge 20 point margin from silver medallists Martine Soffiati Grael and Kahena Kunze of Brazil. Meanwhile world championship silver is also a career topping result for 20 year old Marcus Hansen and 21 year old Josh Porebski . The NZL Sailing Team pair has had a strong season with top ten results at the major internationals but this is far and away their best performance to date. The team were supported in France by top New Zealand Olympic coaches Hamish Willcox (men’s coach) and Nathan Handley (women’s coach). Handley was also coach to Jo Aleh and Polly Powrie who took out the 2013 Women’s 470 World Championship earlier this year. “I’m really proud of all the team and these results are testament to the hard work they have put in.” says Olympic Programme Manager Jez Fanstone.